Unlike traditional scrubs, this exfoliating gel is so gentle it can be used even on sensitive skin, but still packs a punch, removing old keratin and keeping skin fresh and clean. With ingredients like Evening Primrose oil for its anti-oxidant and whitening properties, Algae extract for its moisturizing and whitening properties and Glycerin for its hydrating properties, skin looks brighter and cleaner without any greasy after-feel. 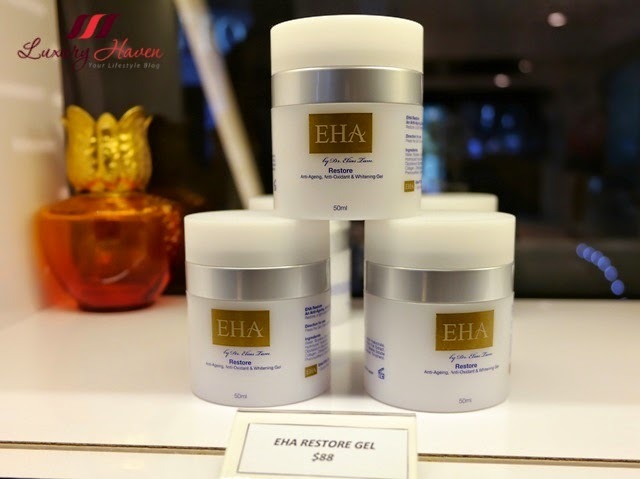 A light textured gel-cream with anti-aging, antioxidant and whitening properties. This Japan-made night gel-cream is perfectly suited for Asian skin. Its light water-like texture melts upon application and is perfect for those who don’t like the heavy feeling of conventional night creams. 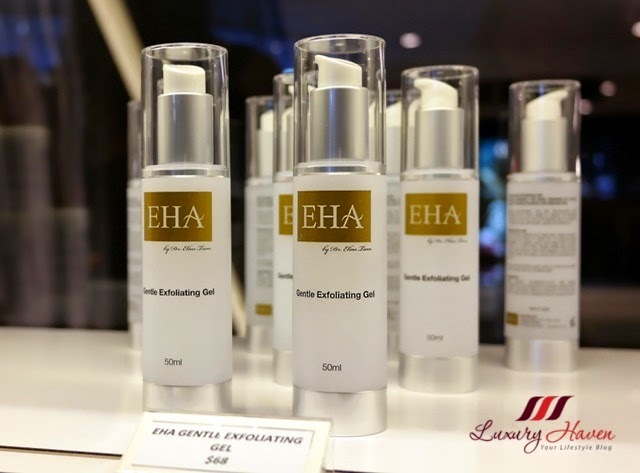 EHA Restore is best suited for those with dry, mature or dehydrated skin and is great post laser as it keeps skin quenched but not greasy. Easily absorbed and fast acting, this gentle eye gel keeps your delicate eye area hydrated and wrinkles and fine lines less visible. 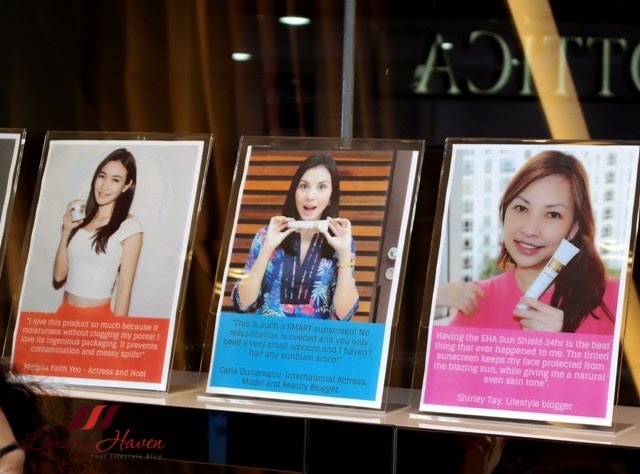 This product is safe for use even on sensitive skin. EHA Sun Shield 24hr with SPF 100 has been proven to block both UV-A and UV-B rays by 99%, for a period of 24 hours, with just one application! The protecting ingredient also prevents spot generation, keeping the skin cool and resistant against sunburn. The main ingredient used in Sun Shield 24hr to block UV rays is called the "Y titanium particle", a kind of Titanous Oxide coated with silicon. A very thin application of this product (10-15 microns) is all you need to maintain its effect. Sun Shield 24hr can also be used by both adults and children and is a great product post laser or IPL as it protects the skin from sun exposure and the risk of pigmentation! 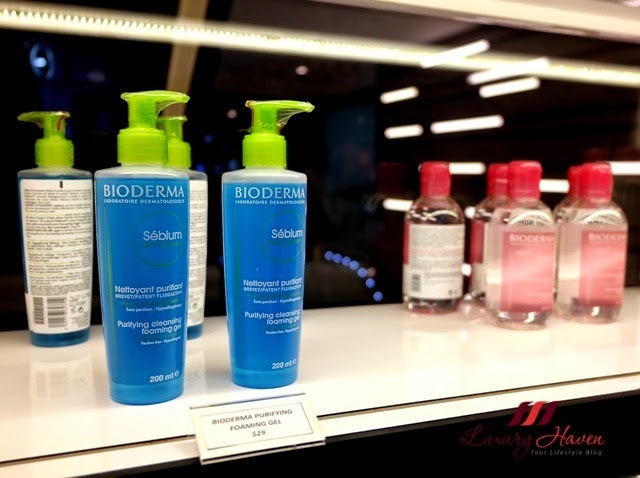 A purifying gel that gently cleanses and prevents blemishes from the cleansing stage. 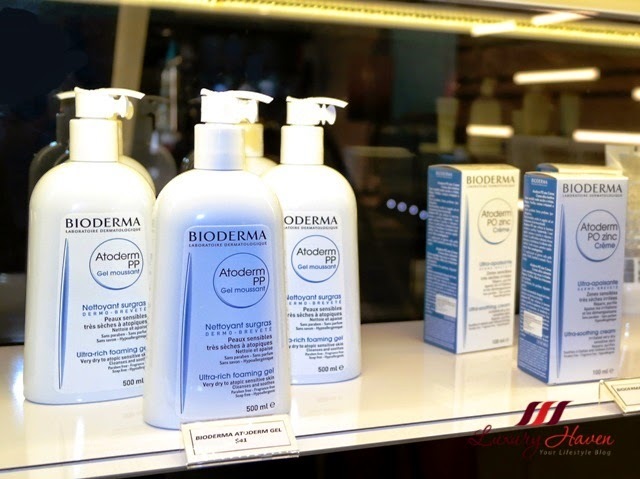 Emollient, intensive bio-repair daily care for the cutaneous barrier, to restore the hydrolipidic film and restructure for severe and recurrent cutaneous dryness and very dry reactive skin. 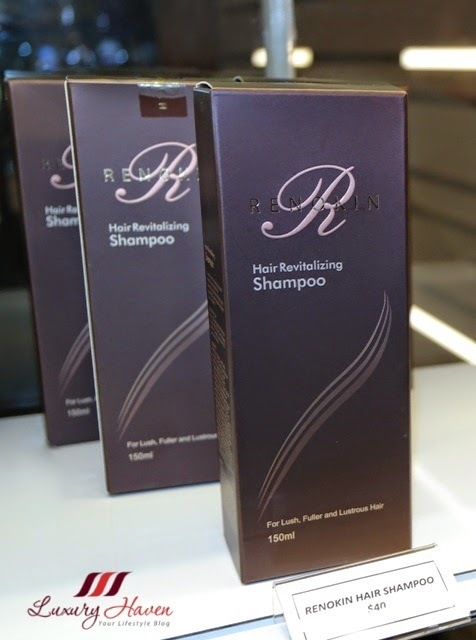 Clinically proven formula that helps promote longer, thicker healthier hair. 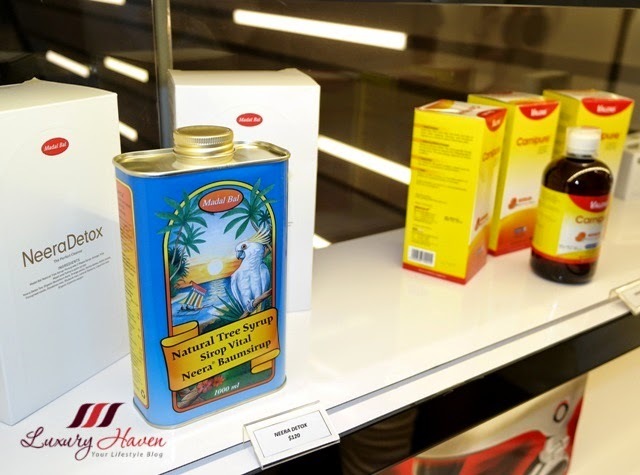 Stimulates and fortifies the hair and scalp condition, creating a healthy environment for hair restoration. Each Neera Detox Kit includes key ingredients to make the nourishing Neera Drink to support, detoxify and neutralise toxins during the Programme. A blend of pure grade C maple and wild palm syrup rich in potassium, calcium and zinc; the Madal Bal Natural Tree Syrup can be mixed with distilled water, fresh lemon juice and Cayenne pepper to make a delicious, refreshing Neera Drink. This is a perfect mix with all the necessary nutrients and compounds to support, detoxify and neutralise toxins during your Neera Detox Programme. 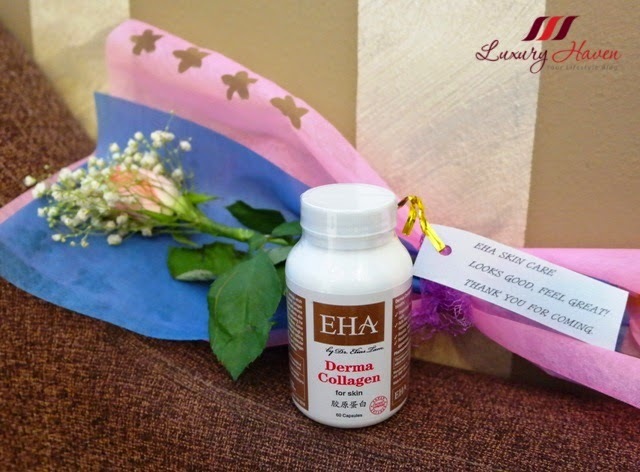 At my age, I definitely need some form of collagen for maintenance, and I like the fact that EHA Derma Collagen comes in capsules form which make it so much easier to swallow. Its antioxidant effects help protect the skin from ageing by combining the deterioration of collagen and elastin fibres. 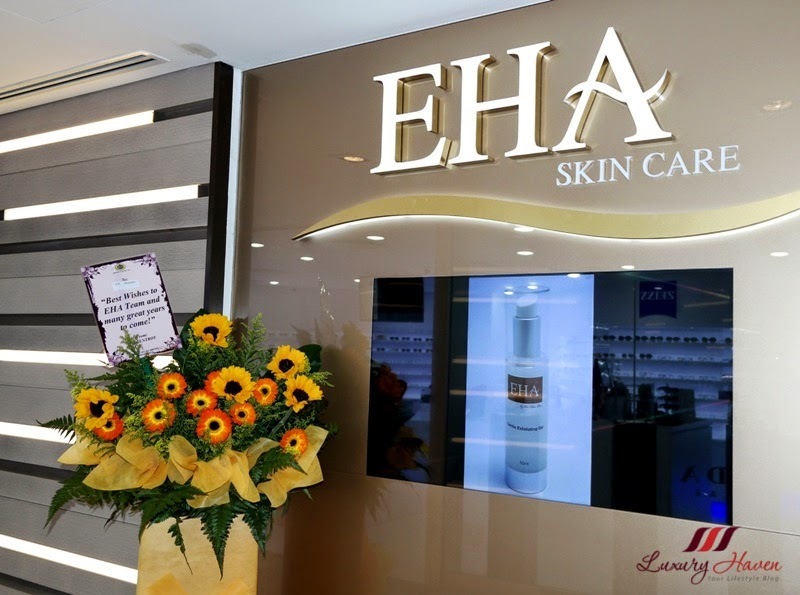 Well, the above products are available at EHA Skincare, located at 1 Scotts Road, Shaw Centre # 03-28 Singapore 228208. Be sure to check out the boutique the next time you're in the area! Will take a look if I find this products here too. I am all in for anything to keep my skin soft and supple. These products are doing justice to your skin. Let me see if they are available over here. These products look great. I've always taken care of my skin and now even more. Have a wonderful day! 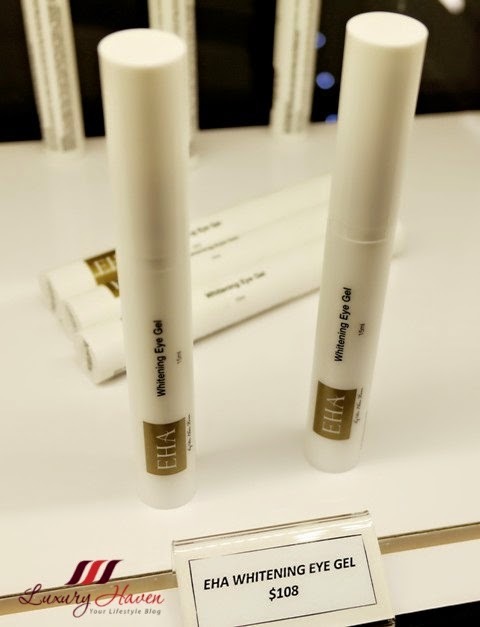 I don't think the EHA brand is available in the US but the product line sounds great. Sounds like really great products, Shirley. Beautiful pictures. Looks like it was an awesome event. Looks quite interesting :o specially the gel! First time I've seen this brand. Interesting read. I never realised that people living in humid climates would require different skin solutions. And it makes sense. I'll have to take this into consideration during travels! 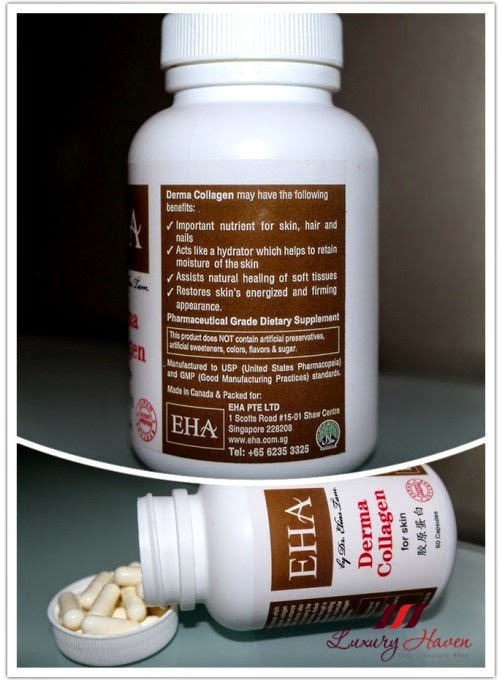 The Derma collagen has amazing benefits. Great post dear. I would like to give a try to everything! I would go for collagen-enhanced product too. Need to preserve my skin before I am hitting 40 in 2 years time. Seem to be lovely products, even if unfortunately I don't know any of them! nice! their products look awesome! So EHA have used your photo as one of their spoke person - very convincing "tool".